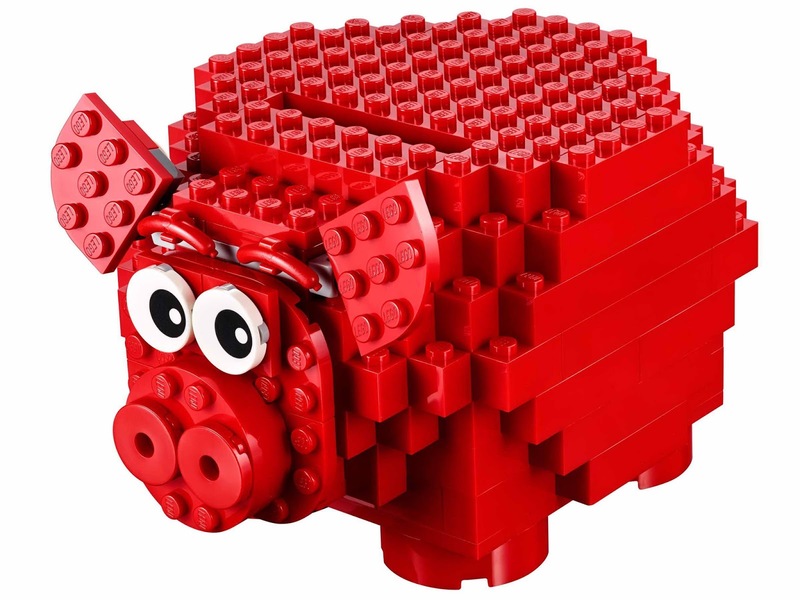 come with a piggy coin bank. 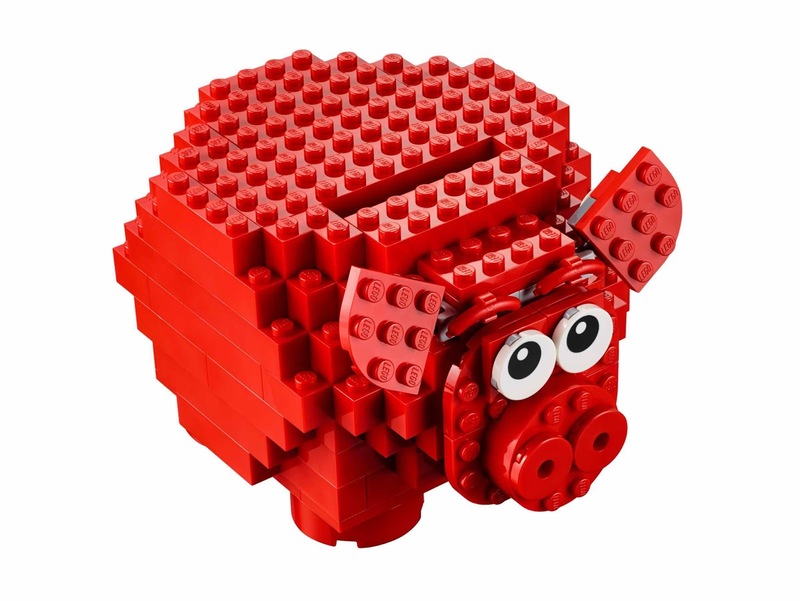 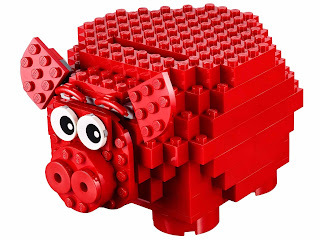 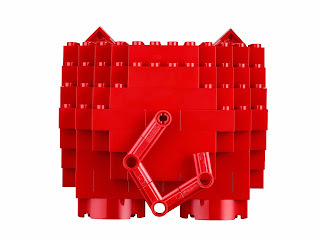 the piggy coin bank is brick built. 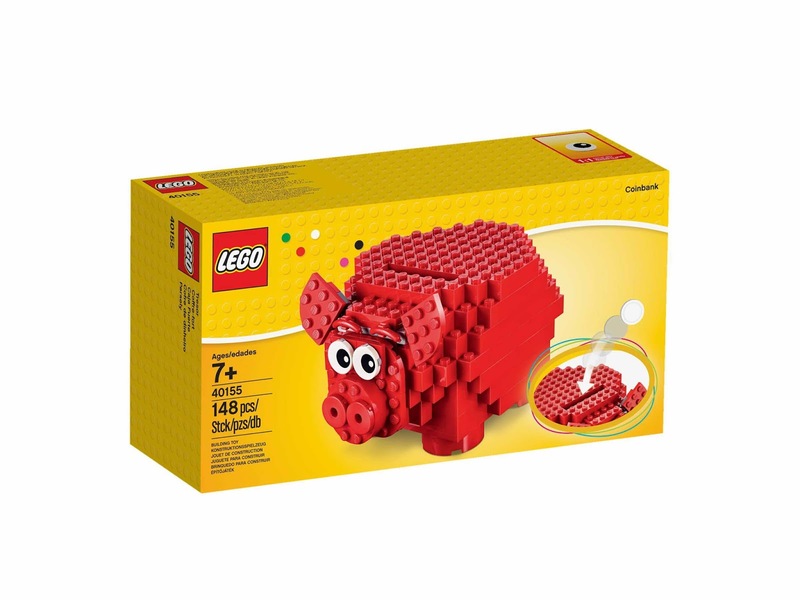 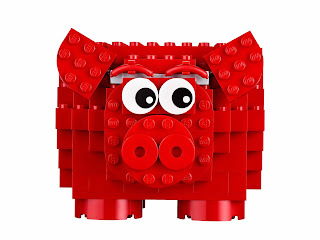 the piggy coin bank has rotatable eyes, posable ears, sausage brick eyebrows and a coin slot. 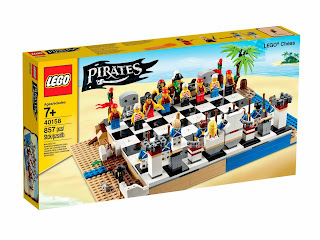 come with a pirates chess set. 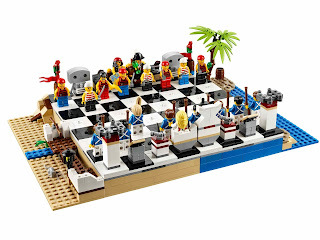 the chess set has 32 playing pieces, a brick built chess board and beach theme design.